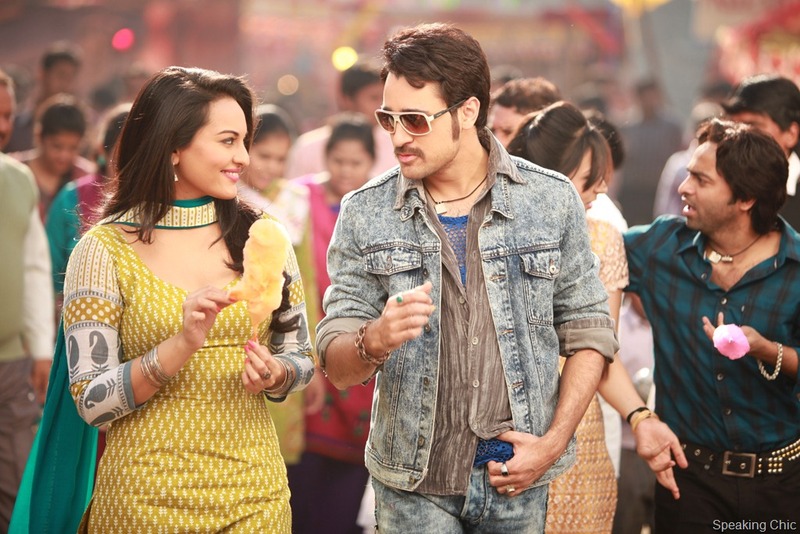 Sonakshi Sinha’s wardrobe disaster in Once Upon a Time in Mumbai Dobaara is primarily because of the ill-fitting outfits that she’s wearing. Yes, she’s a plus-sized actor, but that doesn’t excuse the tailoring. The knee-length kurtas were too tight for her– unsightly bulge jutted out at the sleeves and the back. The camera adds 10 pounds and the silver screen another 10, I’d say. While the costume design team had to stick to the styles and trends of the era, Sonakshi looked bloated and way too plump next to the fit Akshay Kumar and skinny Imran Khan. Tweaking the outfits to better suit her body shape would have helped. Like the kurtas could be a bit looser on the chest and hips, and the necklines should have been higher. Contrast dupattas are a fairly recent phenomenon, so Sonakshi shouldn’t have been wearing them in the movie. They weren’t around in the 1970s and 80s. I remember my mom and aunts wearing dupattas that were the same colour as their kurta and salwar. And the little prints on her kurtas can be found in any bazaar, department store or ethnic brand store in India today! Sonakshi plays a naive aspiring actor from small-town Kashmir, and a girl with such a background would NOT be wearing such low necklies or plunging backs. And the dupatta would actually cover up her chest, not play peek a boo. Blush, eye shadow, liner and lipstick, all put together in a single look made me feel the makeup artist could have done a far better job. Sonakshi looked lovely in the scenes in which there was no hint of lipstick or rouge. And oh, the silver nail polish. Really? Is the off-screen Sonakshi more fashionable? BTW, Sonakshi looked lovely in some of the events promoting the film, much more real and relaxed, and carrying similar looks but looking much more fashionable and comfortable. The fits seemed right this time. What say? Akshay Kumar looked pretty much the gangster comfortable in his own skin. While I thought Akshay’s acting was over-the-top, his look was very well styled by Kunal Rawal. Kunal dressed Akshay Kumar in solid and striped shirts in colours like like deep wine, burgundy, and steel grey teamed with muted jackets in greys, navy and black. Unmissable accessories defined the man and his persona– a mix of classy (Cartier watch), trendy (over-sized dark sunglasses) and wanting to show who’s boss (shiny and pointy shoes). Slick and stylish! BTW, another great piece of movie styling by Kunal Rawal is Aisha (click here to read about the Aisha costumes). What did you think of the costumes in Once Upon A Time in Mumbai Dobara? Elegance personified at Rohit & Abhishek for Woven Gold. High-top sneakers at Kunal Rawal are the ultimate in cool shoes! 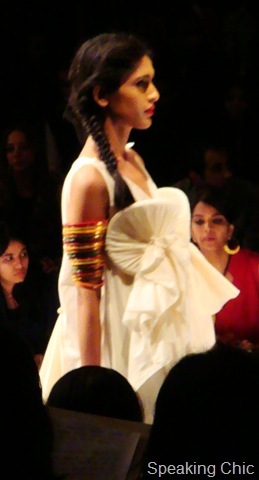 Mojris aren’t usually seen in fashion shows, so this was a pleasant surprise at the Rohit & Abhishek show. 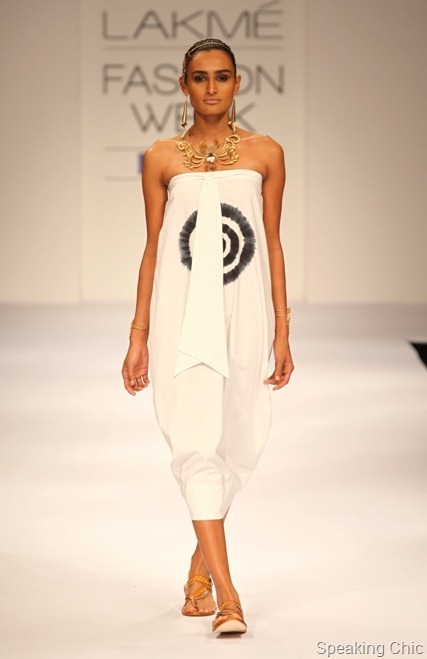 Lakme Fashion Week Summer/ Resort 2013 kicks off today and I’m super excited! Here’s why. The man who’s dressed FLOTUS Michelle Obama a number of times will be showcasing his work Saturday night. And he will participate in a workshop on Friday, talking about his style and creations. Meeting or seeing this man is reason enough to attend Lakme Fashion Week. The best menswear designers in the country will be on the ramp after a long gap. The list includes veterans like Narendra Kumar and Arjun Khanna, along with young designer Kunal Rawal (he did the men’s costumes for Aisha). Narendra Kumar’s shows are always worth a watch, and this time he’s expected to make a strong statement on the country’s socio-political situation. Hmmm….! Lakme Fashion Week has been supporting new designers for several years now, but this time they get an additional benefit with support from Zovi.com. The online shopping site will manufacture and retail one garment from each of the debuting designers. So get ready to shop already! 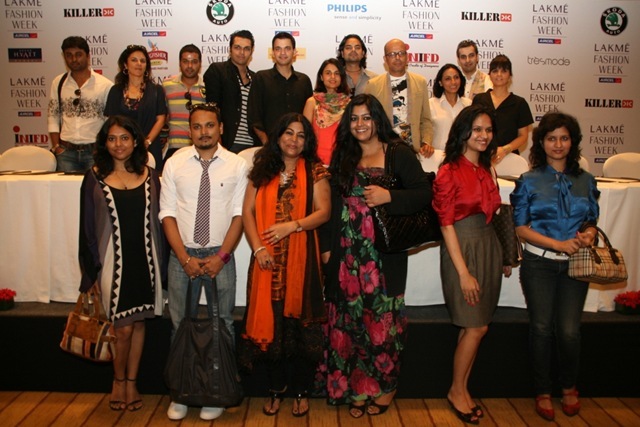 Lakme Fashion Week Summer/Resort 2013 is from March 22 to 26, 2013 in Mumbai. The moody south-west monsoon seems to have finally settled down, and has promised to bring with it plenty of shower spells. 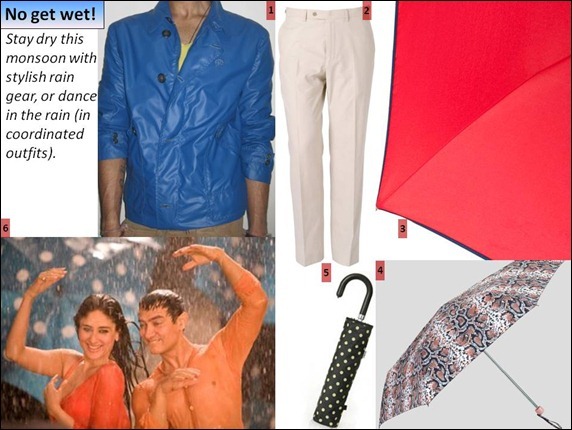 So now that rainy days are here to stay (for a while at least), gear yourself up with Speaking Chic’s monsoon must-haves. Umbrellas should be your best friends for the next few months. 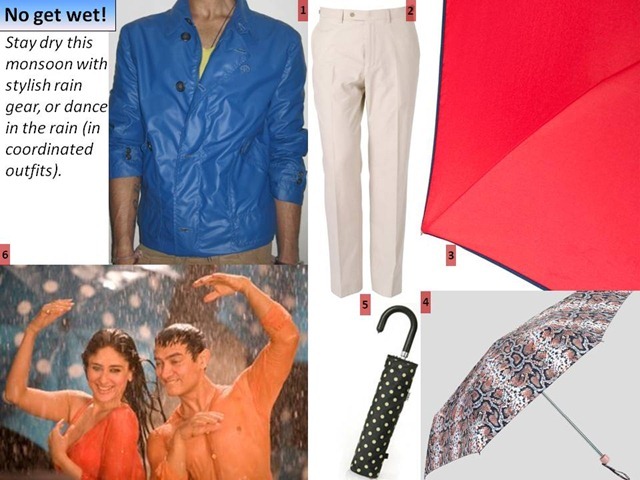 Those who can’t deal with upturned and flyaway umbrellas can opt for stylish windcheaters instead. Stay safe and odour-free with quick-dry fabrics, especially at office. 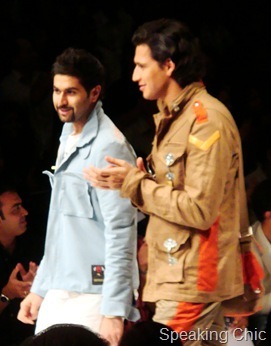 1- Windcheater jacket with biker elements and utility flaps from Kunal Rawal. Whether you manage to stay dry or not, your Blackberry needs to be moisture-free at all times. So carry waterproof bags and purses at all times. Glossy finishes are especially trendy this monsoon. 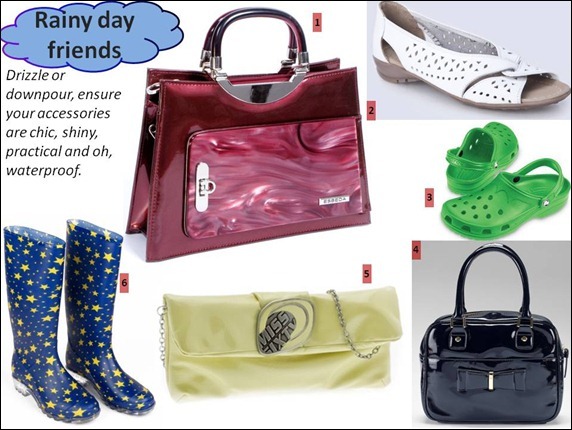 Your shoes must be comfy and non-slip, and get into cute gum boots for a few fun splashes. 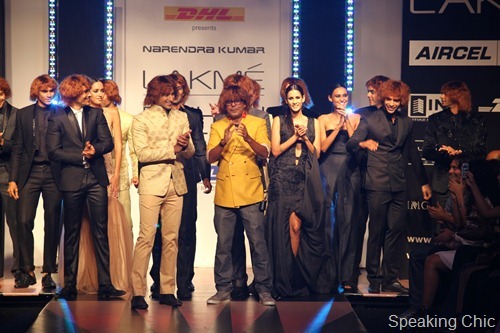 As we bid goodbye to 2010, here’s a quick recap of the fashion scene in India and overseas. Kicking off this fashion trends! Bollywood fashion took the high fashion leap this year with Aisha, starring Sonam Kapoor and Abhay Deol. Sonam wore Chanel, Vivienne Westwood and Christian Lacroix, while toting her Lady Dior, and Abhay Deol made a dapper style statement in Kunal Rawal’s custom-made suits. Even as the world sought retro inspiration, very few people (and movies) captured the essence of the 1970s without going OTT. One of the few Bollywood hits Once upon a time in Mumbaai got the decade just perfect, right down to Ajay Devgn;s moustache and white-clothes obsession. And we’ve already mentioned how hot Randeep Hooda looked in Ray-Bans. At the risk of starting another debate, we have to say that we liked Aishwarya Rai Bachchan’s clothes in Guzaarish though they seemed completely out of character. Every self-confessed shopaholic/ fashionista in India (or at least in Mumbai and Delhi) flocked to Zara when it opened two stores in July. A worthy competitor to Mango (another Spanish fashion brand), Zara quickly became a must-visit shopping destination for visitors to the two cities. My relatives from Amritsar wanted to visit Zara, so did my (not-so-fashionable) boss (sincere apologies in advance!). We were excited enough to take some spy shots there (see this initial Zara review of the Mumbai store). In the latter half of the year, Delhiites got lucky when a huge Forever 21 store opened at Ambience mall (Vasant Kunj). I briefly visited the much-hyped store in Delhi recently, and I must say I was impressed with the sheer size of the collection, and most of the clothes weren’t too bad either. And then there was Diesel and plenty others joining the fashion party. 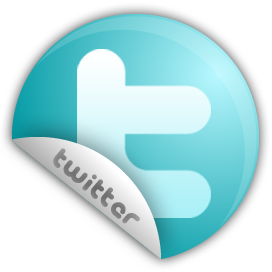 Looking forward to more high street brands coming to India in 2011. Fingers crossed! Internationally, well-known celebs bagged a number of ad campaigns: from Madonna for Dolce & Gabbana to Julianne Moore (wearing almost nothing) for Bvlgari. Even as the latter ad was banned in Venice, Madonna’s portrayal of a housewife told an enchanting story. Lovely! On the Indian advertising front, the Levi’s Curve ID TV ad disappointed. A LOT. The Curve ID concept is great (you choose jeans by your body shape rather than size), but the most of the ad shots were focussed on the girls’ umm… behinds. Seemed almost voyeuristic. Great track, though. Meanwhile, Longines’ Dolce Vita advertisement starring Aishwarya Rai Bachchan is becoming increasingly popular. 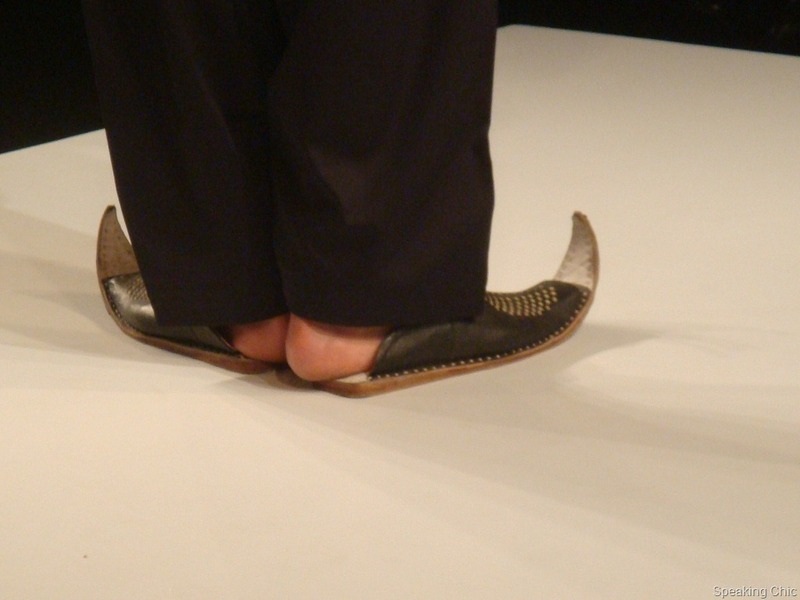 What were the fashion highs (or lows) for you in 2010? 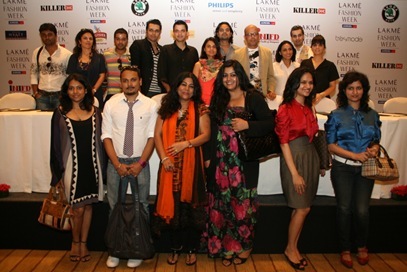 Lakme Fashion Week’s Gen Next show provides up-and-coming designers a platform to showcase their talent. The Gen Next concept was introduced in 2006 to encourage quality, innovation, creativity and commercial viability among the budding designers. 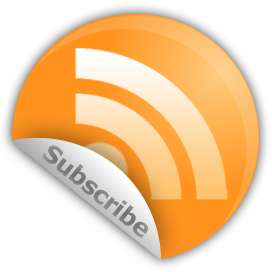 Today several Gen Next designers are successful and have a steadily growing fan following. To celebrate five years of the concept’s success, Lakme Fashion Week organised a show with 10 established designers who debuted at Gen Next few years ago. 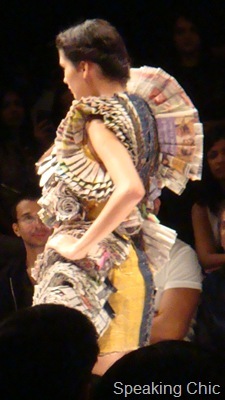 Anuj Sharma played with the concept of 3D, using triangles edged necklines, cloth bubbles on the bodice, giant covered buttons, cones appeared on the bustier and 3D motifs on the neck. Highly unusual, but translatable into an interesting retail collection. 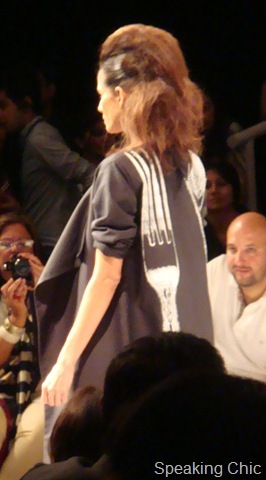 Kallol Dutta is known for offbeat prints, and I spotted a number of people at the show wearing his clothes. Calling this line “Black Humourist”, Kallol used black as a backdrop for his funky prints. One of his prints was (ahem!) a fork and a spoon. Later asked about the use of such symbols, he shrugged and replied, “I just like to use random, impertinent objects and use them on my clothes.” Good reply, and good thing it’s quickly becoming wearable and acceptable fashion. Nitin Bal Chauhan is in the wrong profession. His heart and soul is of a visual artist working with mixed media. For his Freedom! Freedom! line, he created skirts, jackets and dresses with the most unusual materials—newspaper-print coated paper, spools of thread and plastic basket weave, creating a stunning effect on the ramp. The inspiration, he said after the show, was from farmers who are forced to pick up weapons to make their living (the Naxalite story). He created these garments using materials from their daily life. Can’t wear them, but very poignant stuff. Which Gen Next designers do you like? Tell us! Malini Ramani’s presenting the grand finale, and her show’s going to be themed the “Gypsy Collection” which totally goes with what she stands for. You’ll be able to buy LFW designers’ clothes online—on Fashionandyou.com. Erstwhile Gen Next designers are coming together for a special “Gen next 5 Year Show”. The designers we’re looking forward to in this show are: Nachiket Barve, Kunal Rawal, Swapnil Shinde, Rahul Mishra and Rimzim Dadu. Some of the big names this season at LFW: Anand Kabra, Ritu Kumar, Manish Arora, Manish Malhotra, Satya Paul, Neeta Lulla, Shyamal & Bhumika, Manish Malhotra, Shilpa Chavan and Kallol Dutta. Accessory shows to watch out for: Malini Agarwalla (of Malaga) and Suhani Pittie. So block your calendars from September 17-21, and gear up for new fashion trends of the festive season. You’ve heard from Aisha’s costume designer Kunal Rawal on how he worked on the guys’ looks. To make it easier for all fashion and film lovers, here’s a mini-guide on Aisha’s fashion, so when you watch the movie, you don’t miss out on the fashion! Aisha: “The Lady Dior is Aisha’s go-to bag, it goes with everything!” says Pernia. You will spot both Pernia and Kunal in the film, and Kunal’s roasting marshmallows! “To my defence, everyone was styled in that shot except me!” Kunal exclaims. Enjoy the movie and tell us what you think of the fashion in the film! In the past few weeks, Abhay Deol in shirtsleeves, looking absolutely dishy in Aisha promos, is giving a whole new meaning to corporate-cool. A modern-day take on Jane Austen’s Emma, Aisha is perhaps India’s first truly fashion film, with Sonam Kapoor in designer wear throughout, and Abhay Deol looking dapper in bespoke suits. (Psst.. last December, we had touted Aisha as the film to watch out for in 2010). Speaking Chic talks to the costume designer behind the Aisha men—Kunal Rawal. 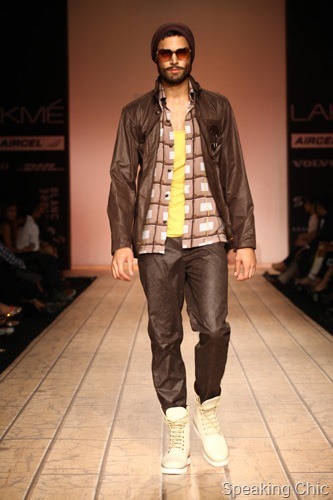 Kunal is a young Mumbai-based designer known for his casual wear label D.stress. His clothes have been worn by ShahRukh Khan and Abhishek Bachchan, among others. You have worked with Anil Kapoor’s production house earlier—doing some outfits for Akshaye Khanna and Arshad Warsi in Shortkut. What led you to Aisha? After Shortkut, I wanted to experiment with different fields, and decided to dedicate some time to fashion weeks and films. I took up Aisha because I knew the producers understood fashion and its importance completely. To what extent do you think films need to pay attention to costumes? The young Indian audience wants to see something real in films. At the same time, a movie is about actors, the characters they portray and their performances. If a costume doesn’t work, the character breaks down. If an actor gives a brilliant performance wearing a garish shirt, but the garish shirt will be more talked about than his performance. 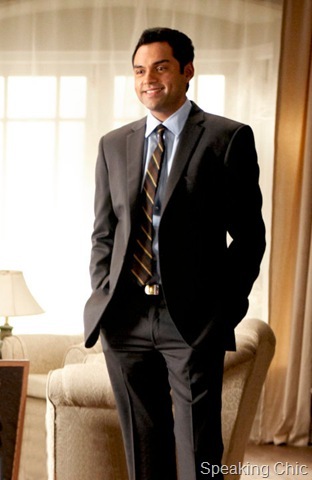 In Aisha, Abhay Deol plays Arjun Burman, an investment banker; how much do you relate to that? I’m poles apart from a banker! And that’s what excited me about working on this film. How did you arrive on a look for Arjun Burman? As a contemporary banker, Arjun would have a certain taste—opting for comfort and practicality, while still being stylish. Keeping this in mind, we looked for the right fabric and cut for Arjun. The fabric we chose was a good cotton blend, not too woolly and not too limp either. 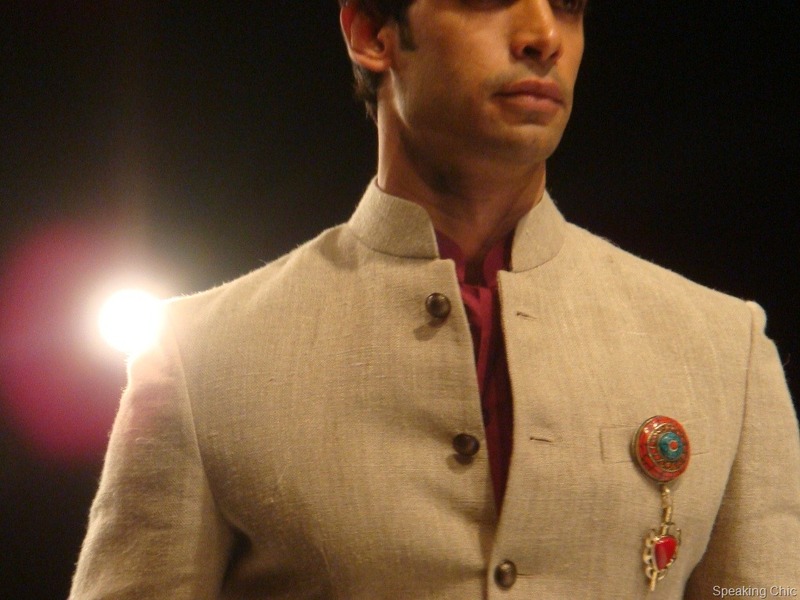 We created mood boards for him, and I designed custom-made suits for Arjun. 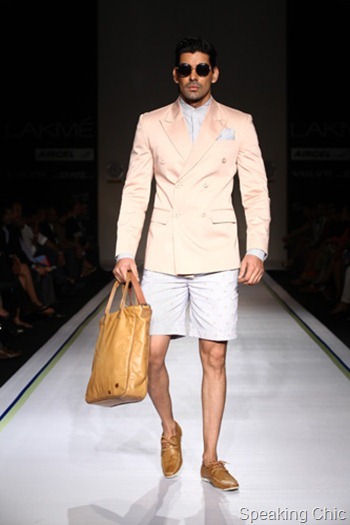 What resulted was at least a dozen custom-made suits for Abhay, each of an optimum cut and fit. How would you define Abhay’s suits in the film? The suits are simple, yet unique because of the subtle detailing—slim, single-vented, single breasted, with small lapels. What is Arjun’s style statement? Arjun doesn’t try too hard to look great, though he has a sophisticated style. For example, he blocks his colours well—you will see two-tone ties, in which the knot is one colour, while the tie is another. And how would Arjun dress casually? Arjun will wear a suit casually, without a belt. Check out the denim shirt in the posters, that’s in Arjun’s favourite fit, not what a typical banker would wear, but it works for him. He also loves crewneck t-shirts. As Aisha, Sonam Kapoor’s Lady Dior bag is her statement accessory. What is Abhay’s statement accessory? His vintage YSL belt and Cartier watch—the Santos 100. He’s also wearing vintage tie-pins. Where did you shop for the movie? Even though Abhay’s look is mostly bespoke, I shopped a lot in London and New York for accessories, especially at thrift and vintage stores. Let’s talk about Arunoday Singh, who plays Dhruv. How different is he from Arjun? Dhruv is the complete antithesis of Arjun—he’s an outdoorsy Marlboro man. So he’s wearing free-falling fabrics like linens and mulls. Bollywood influences fashion—take the example of Shahrukh Khan’s Polo t-shirt in Kuch Kuch Hota Hai. 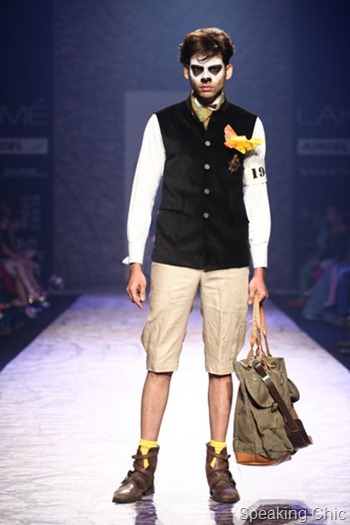 In what way will Abhay Deol’s clothes influence men’s fashion on the streets? All the looks are very relatable and achievable. I’m sure understated fashion will come back to the fore. So will colour blocking for men—it’s as simple as choosing your colours right. Also overshirts, like the one Arunoday Singh wears, could be a rage. What did you think of this interview? 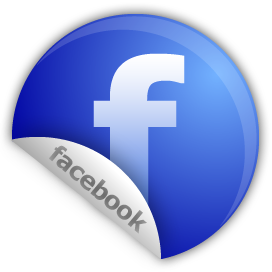 Do you have any questions for Kunal Rawal? Tell us!